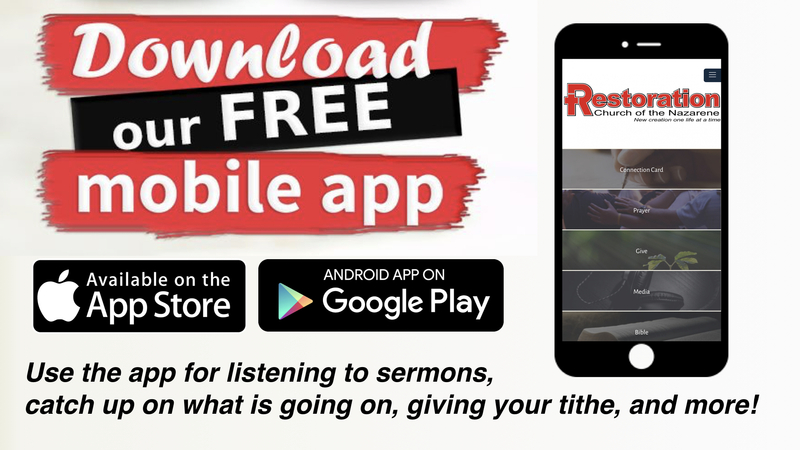 If you are looking for a church, you are invited to visit Restoration Church of the Nazarene during a weekly service or one of the many church activities. We trust that you will find your time with us enjoyable and feel welcomed as family. We also hope you will be encouraged to discover a closer relationship with Jesus Christ. We believe that all people are the artwork of God's creation, but we have all been ruined by sin. The good news is Jesus has come to redeem the mess we have made and it is the work of His church to be about the Restoration of lives into the image of Christ. Join us each Sunday 8:30am or 11:00am as we encourage and celebrate new creation one life at a time. Wondering what to expect on your first visit? Let us help you! 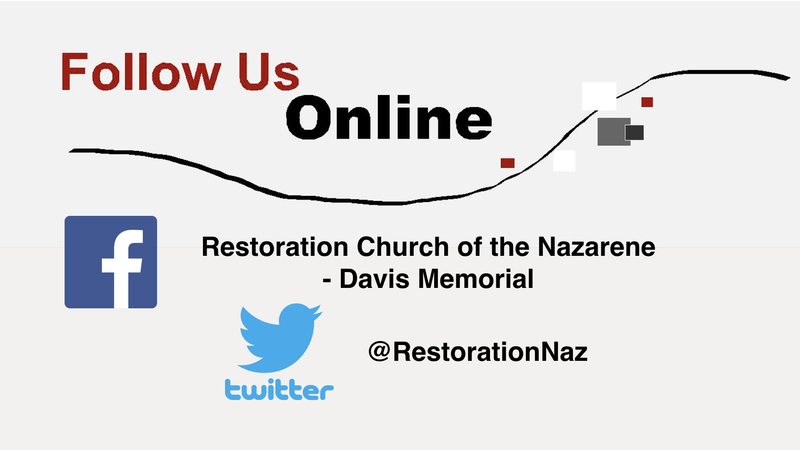 Want to know more about the Church of the Nazarene? Need to know what's available for you and your family?